Military leaders live by the maxim "know your enemy," and a new tool from marketing-intelligence company GinzaMetrics helps apply that wisdom to business. 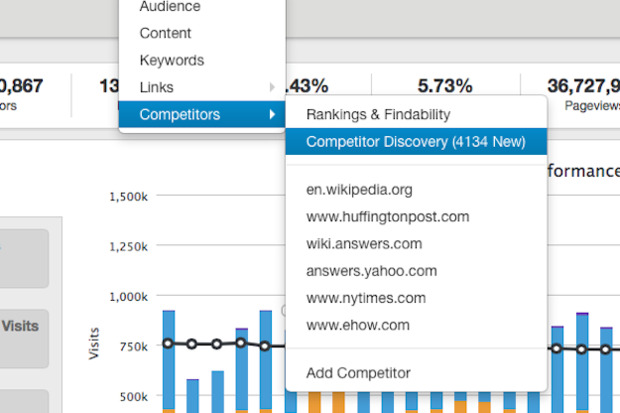 Called Competitor Discovery, the SaaS tool gives companies a way to identify new competitors by analyzing the content, targeted topics and keywords from their own marketing efforts. "The competitors you know about are only half the battle," said Ray Grieselhuber, GinzaMetrics' founder and CEO. "For most brands, new competitors are constantly emerging, while existing players are shifting focus to create content that drives traffic away from your site." Competitor Discovery joins the other components of GinzaMetrics' suite of competitor intelligence tools, which help keep tabs on a customer's industry and other players. Part of what that suite offers is daily monitoring of content from GinzaMetrics' own customers and their competitors, factoring in social media, SEO and paid efforts. Once Competitor Discovery has identified a new rival, it offers insight into the content, topics and keywords that might be driving visitors from your site to theirs. Cost-per-click, search volume and search ranking status, along with a predictive "findability score" and projected traffic data, all aim to help customers plan future marketing and advertising decisions. The findability score shows the likelihood that your company will be found by potential customers searching with particular keywords. The projected traffic metric predicts how many visitors are going to a competitor's site based on the topics and keywords you're tracking, and estimates the potential audience for each piece of content. Pricing for GinzaMetrics' service starts at $1,000 per month for a version targeting small teams and startups.